The name “Climate Chaos: People Rising” sounds like it might have been written in response to the past week’s news that the US government was pulling out of the Paris Accord climate action plan. But for the last couple years, this has been the tagline of Northern Spark, an arts and culture festival hosted by Northern Lights.mn each summer. While looking for something to do with friends one evening last year, Northern Spark was where I ended up, and I could have stayed all night. That’s how long the festival lasts—from dusk until dawn, or, for the more precise, 8:59 p.m. June 10 to 5:26 a.m. June 11 in the case of this year’s event. Stay as long as you like. 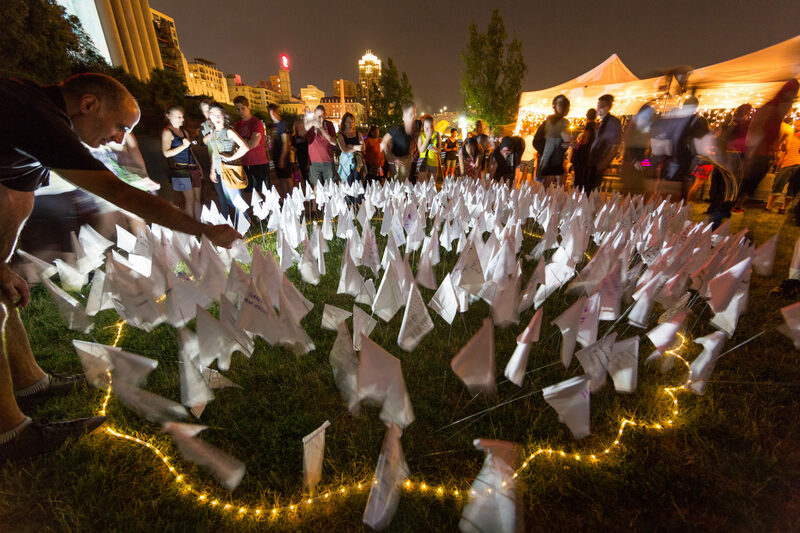 It’s free, and the unusual time frame is derived from nuit blanche, or “white night,” arts festivals in Europe, said Northern Spark codirector Sarah Peters. These all-night festivals are popular in Montreal, Paris, and St. Petersburg. In those cities, “cultural institutions stay open all night and offer artistic programming for free, while artistic installations light up streets, parks, and civic spaces,” Peterson explained. “With the rich cultural infrastructure of the Twin Cities, and our existing abilities as cold-weather climate dwellers to appreciate a lovely summer night, we felt that a night of free culture could thrive here.” The first Northern Spark was held in 2011. This year, activities are centered along the Metro Green Line light-rail route. 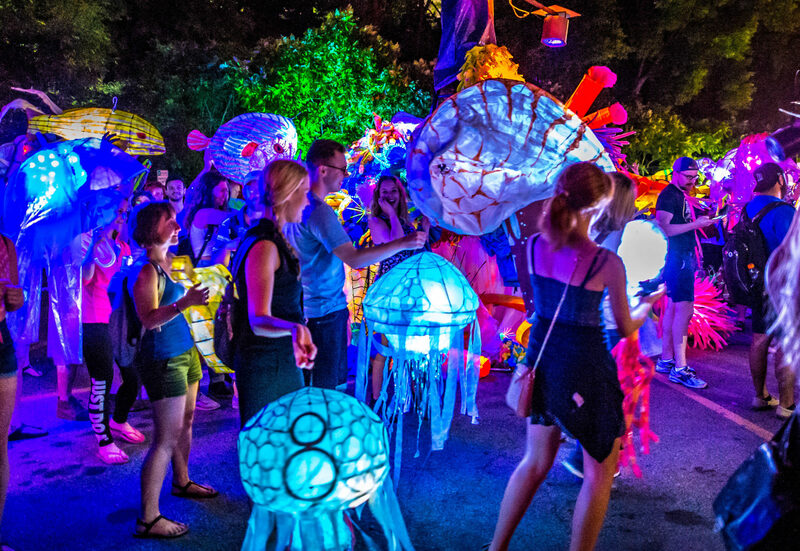 Festival goers can download a free public transit pass for the night and visit a variety of art installations, activities, performances, and snack stops so whimsical and delightful they’re almost beyond imagination. 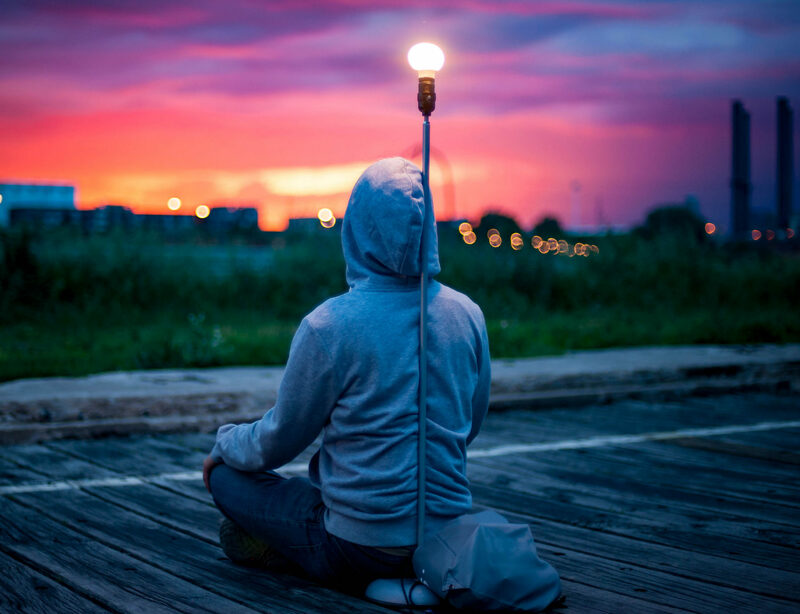 I was first drawn to Northern Spark because it had a quirky, artsy appeal, but ultimately it was the environmentally conscious flavor of the festival that struck a chord with me. I played with a papier-mâché shark around a glowing reef, toured the postapocalyptic Night Library, and wrote a resolution for my personal environment action plan, which I then read aloud through a megaphone (“Keep Minnesota pollinator friendly!”). I also watched a shadow-puppet show and chowed down on cheese curds. I could never predict what would be around the next corner. This year, there will be approximately 70 installations. Most are intended to be engaging and interactive, and to bring a new perspective on a very real issue. Visitors will have the chance to create an avatar in a web game called Collective Action, write a letter to the Earth and have it broadcast on radio, get a hand-sewn recycled T-shirt at a pop-up garment factory, and attend an opening ceremony with Minneapolis mayor Betsy Hodges. You can even create a customized list of the things you want to do and visit on the Northern Spark website. Peters called “Climate Chaos” a bad joke that is in actuality a very serious issue, but along with other festival organizers saw potential to apply the work of local artists, many of whom have been working in their own lives to effect environmental change. Find maps, a full festival schedule, and your free Metro Transit pass for Northern Spark here. No plastic water bottles will be sold by festival vendors, so plan to either bring your own or pick up a recyclable water bottle at one of the information tents. Sarah Peters also recommends a sense of adventure and a comfortable pair of shoes.